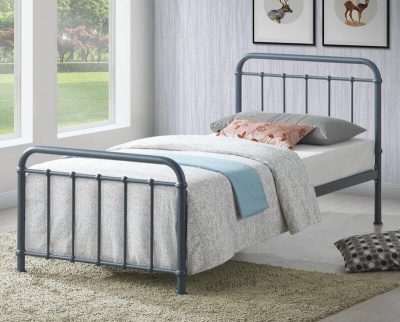 Substantial posts and wide slatted head and foot-boards give the Barcelona bed frame a warm shaker feel. Robust and durable bed frame. The Barcelona pine single bed has been constructed from solid pine for extra strength and durability. Protected with a low sheen lacquer. Fits a standard single 90 x 190 cm available separately. Part of our pine bedroom furniture collection.